The greatest waste of water comesfrom applying too much, too often; much of the water is never absorbed. Instead of watering for one long session, water a few times for shorter periods and take 15-minute breaks in between session. This will allow water to soak in while minimizing run-off. Water between 5 and 10 a.m., when the sun is low, winds are calm and temperature are low. Midday watering tends to be less efficient because of evaporation and windy conditions. When it comes to watering individual trees, flower beds, potted containers or other non-grassy areas, consider applying water directly to the roots using low-volume drip irrigation. Different plants need different amounts of water. Divide yard and landscaped areas into separate irrigation zones so that grass can be watered separately and more frequently than groundcovers, shrubs and trees. If there already is an underground sprinkler system, make sure the sprinkler heads are adjusted properly to avoid watering sidewalks and driveways. 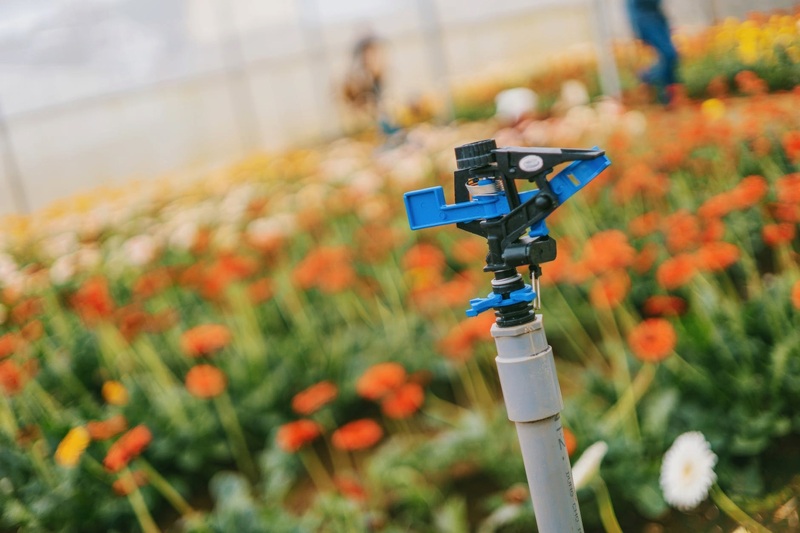 A properly adjusted sprinkler head should spray large droplets of water instead of a fine mist to minimize evaporation and wind drift. Install a shut-off device that automatically detects rain or moisture. Rain gauge and soil sensor devices are inexpensive and take advantage of the free rainwater without wasting the metered water. Since lawns and gardens should be watered in the early morning hours, a problem may not be discovered until it is too late. A clogged head or a torn line can wreak a havoc on both landscape and the water bill.